You know what I’m talking about, right! That third drawer down in your kitchen. The one treasure chest that holds an array of items that are mismatched, clunky, chunky or just simply a homeless, miscellaneous floater. An unused roll of sticky tape. Why is it that we all manage to have a drawer like this? Pull out your third drawer down and tell me what treasure you hold! 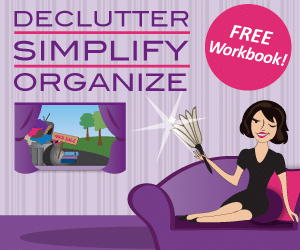 This entry was posted in Clutter, Home Organization, Other. Bookmark the permalink. Pencils,recipe cards, tape, phone numbers, scissors. My 3rd drawer down contains only my Food Saver and the attachments that go with it and some Kitchen Aid attachments, all of which are used. Glad you didnt ask me about my top drawer. That drawer is the fourth in our house, the third holds sharp cooking prep knives, steak knives, chinese cooking utensils, wooden skewers for making satays, that type of stuff. My third drawer down holds saran wrap, aluminum foil, zip-lock bags and my oven mitts. A few years ago I got tired of always digging through several drawers to find things and reorganized ALL my kitchen drawers! My clever hubby even made dividers for the utensil drawer. So, no hidden treasures for me, but I prefer being able to find everything anyway.